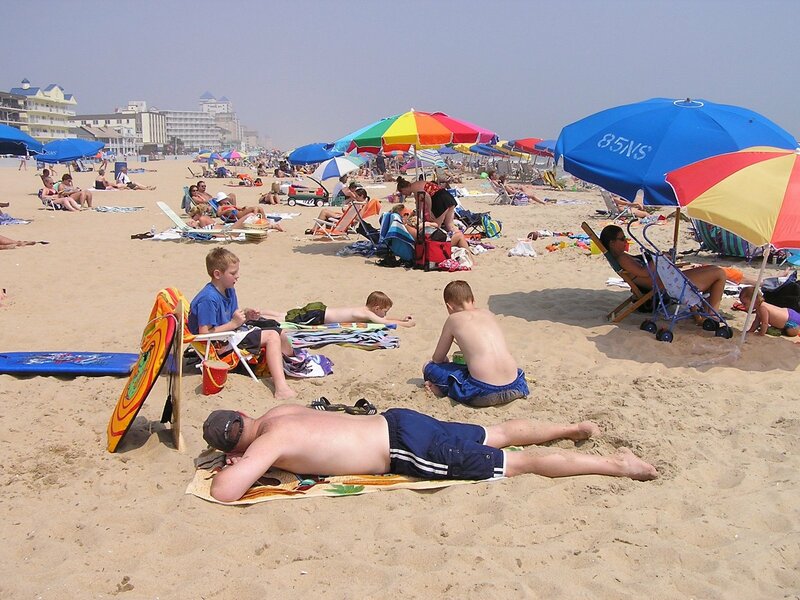 We visited Ocean City several times during the year we lived in Maryland. The first time, we stayed overnight, and the other times we drove out for the day. 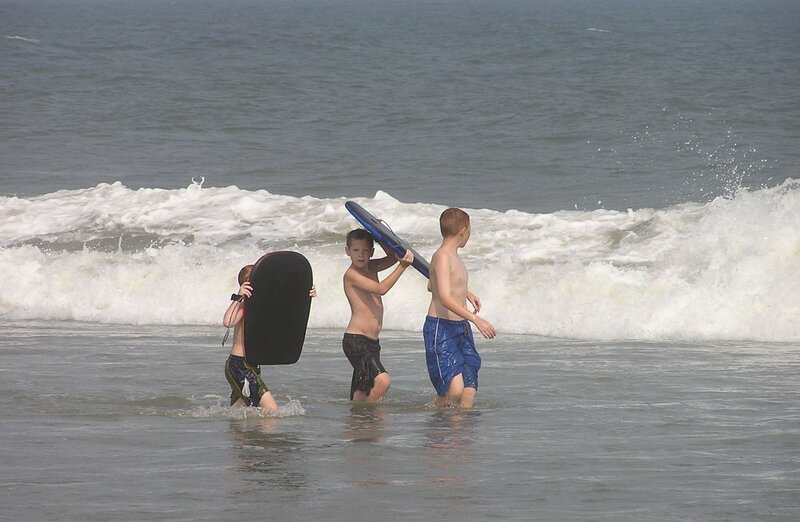 We had a great time playing in the ocean and bought boogie boards to take full advantage of the big waves. The shops had a large selection, and it took awhile to find the perfect designs in the right sizes. The boys were good about sharing their boards with us, because we wanted to join in the fun. It was as close to surfing as I will ever get! The boys played in the sand, building castles and burying each other. It was good to rest after all that time in the water, and to let the sun warm our bodies. The beach is a great place to relax and people watch. We also had fun walking along the boardwalk, shopping and eating. Thrashers fries were a big hit, as was the salt water taffy from Candy Kitchen. The boys loved it when the sun went down, and we stayed late. It was like a big party with all the people, but it wasn't too wild for young children. 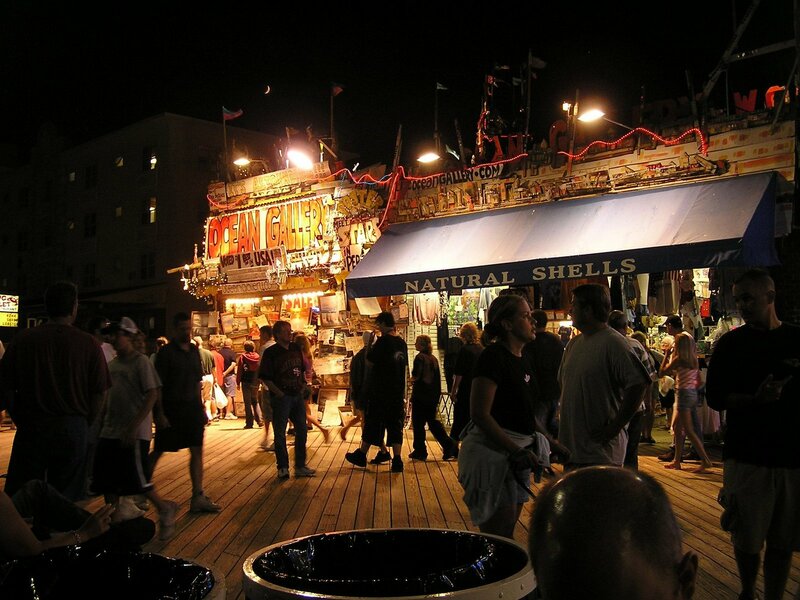 The stores were all lit up, and the bright neon lights made it seem like a carnival. We miss being that close to the ocean, and hope to go back to Ocean City again sometime. More pictures are on flickr and there is a slideshow on YouTube.